When you want to enjoy great times outdoors in any weather, Pathfinder is the way to go. 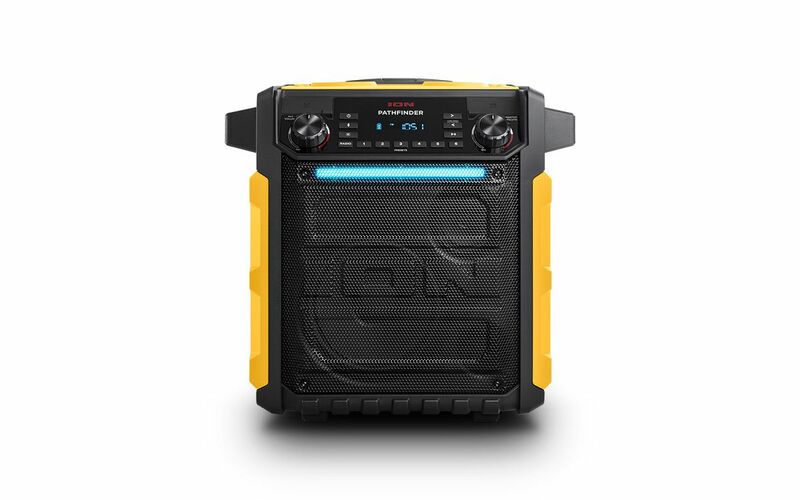 This rugged, water-resistant, rechargeable speaker streams your favorite music from any Bluetooth device and pumps out great sound through its 8-inch 2-way speaker system powered by a 100-watt dynamic power amplifier. Plus, the built-in light bar provides exciting lighting effects for a perfect touch. It has a built-in AM/FM radio with 6 presets so you’ll enjoy catching the game or that great oldies station, and afterwards, use the high-quality microphone to create your own memorable events. With a USB charge port to recharge your devices, cup holders on top and a telescoping handle and built-in wheels, Pathfinder is as convenient to use as it is exciting to hear!